A Shaheedi Samagam was organised by Sikh sangat of village Mansoordeva in Ferozepur district of Punjab on October 31, 2018. 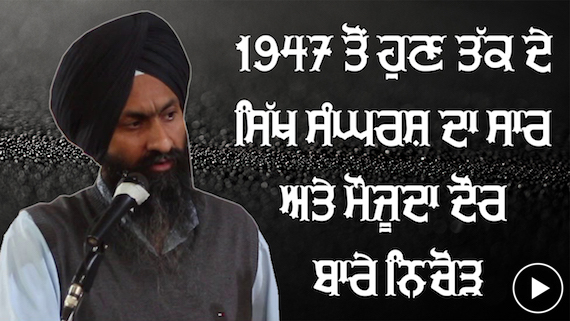 Speaking on this occasion Bhai Mandhir Singh briefly explained Sikh Struggle since 1947. This is full video recording of speech of Bhai Mandhir Singh. 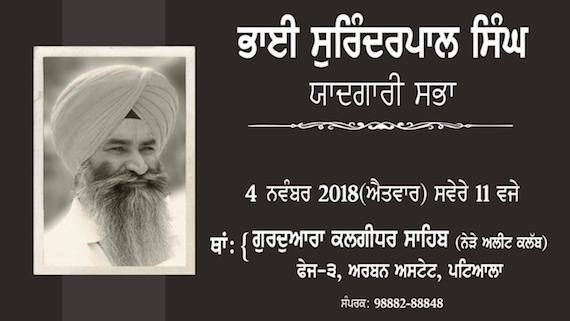 A memorial event in Patiala will mark the memory of unsung hero of Sikh struggle Bhai Surinderpal Singh Tharua. The event will be held on November 4 at Gurdwara Sahib in Urban Estate Phase 3 near the Punjabi University, Patiala. 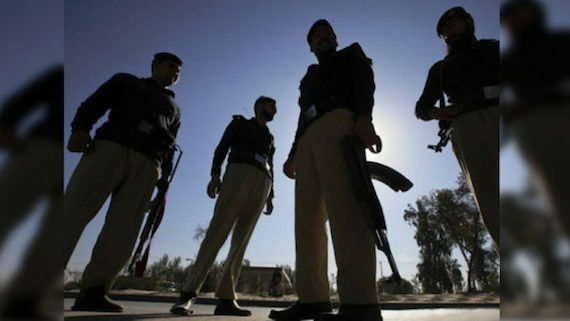 Recently there were reports in media that the Punjab police chief DGP Suresh Arora approached the Central government urging it to adopt ‘sympathetic’ view towards Punjab police personnel who are facing trails for grave human rights abuses committed by them during the days of Sikh struggle in Punjab (1980s-90s). 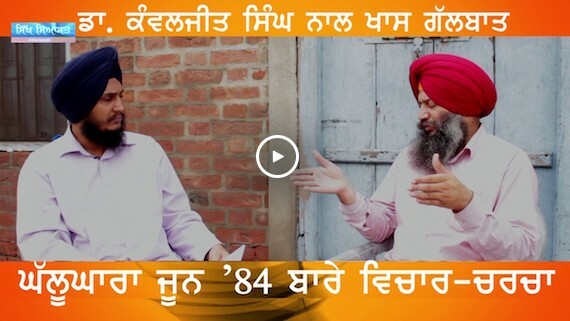 As Dal Khalsa announced celebrations of its 40-year struggle for Sikh sovereignty, Jagmohan Singh, the editor of The World Sikh News catches up with the sheet anchor of the Dal Khalsa organisation –Kanwarpal Singh, who since the last two decades has given a new facelift to the organisation and spread the ideology of Sikh freedom across the state of Punjab. 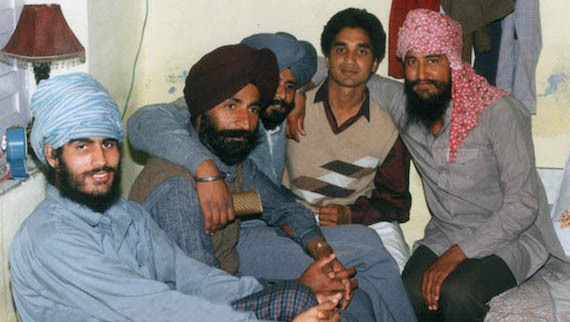 This interview with the spokesperson of the body takes a deep look into its past, analyzes the present and provides a glance at the future of the organization as well as the struggle for Sikh nationhood as perceived by the Dal Khalsa. 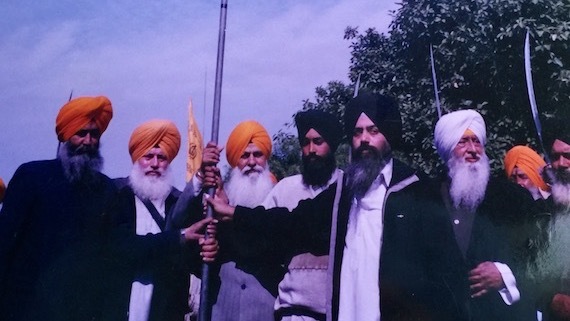 The Sikh sangat reportedly held a ‘Shaheedi Samagam’ to mark the martyrdom anniversary of former Khalistan Commando Force (KCF) chief ‘General’ Labh Singh at Panjwar village in Tarn Taran district on Thursday (July 12). 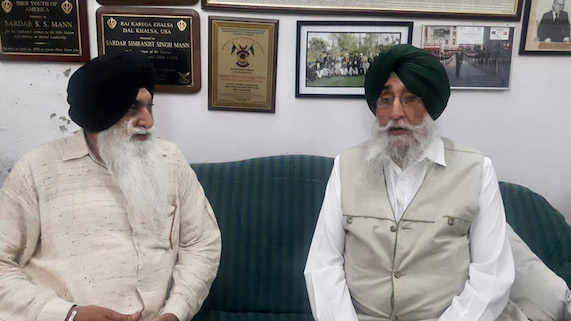 The 'drama' being played out by pro-India Punjab politicians took an expected twist yesterday as Leader of Opposition in Punjab (LoP) and Aam Aadmi Party MLA Sukhpal Singh Khaira reportedly maintained that he was being targeted under a conspiracy. 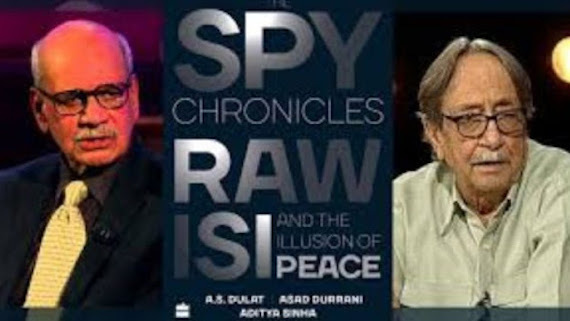 When Indian media platforms hold discussion on the issue of ‘Sikh independence’ or ‘Khalistan’, they include different participants from various political parties that are opposed to each other. 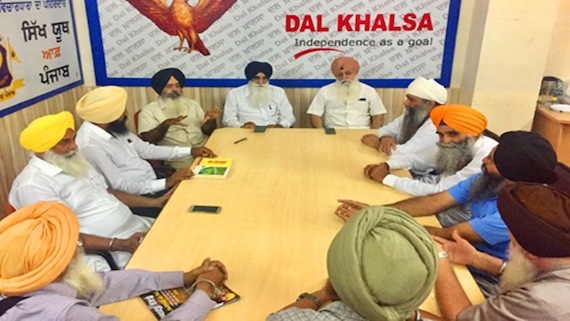 Contesting and challenging the highly negative stance of the Indian state towards the right to self-determination, Dal Khalsa convention advocated the right of Self Determination for Struggling nations of Indian peninsula. 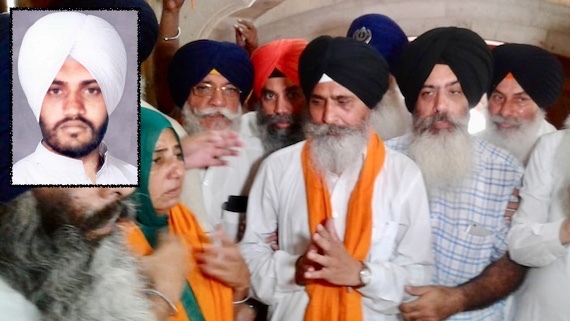 United Khalsa Dal (UK) has condoled the demise of USA based Khalistan activist Dr. Gurmeet Singh Aulakh. 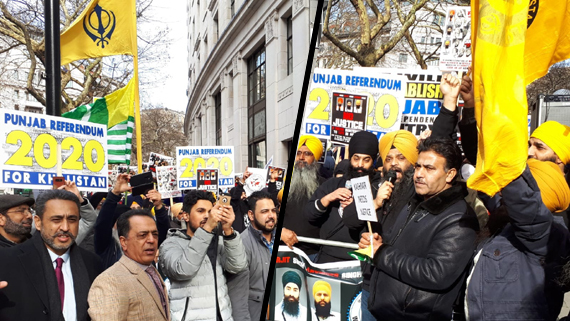 Panch Pardhani UK, a UK based Sikh diaspora group, today released a document to explain its vision regarding Sikh diaspora activism at present juncture of the Sikh struggle for freedom. 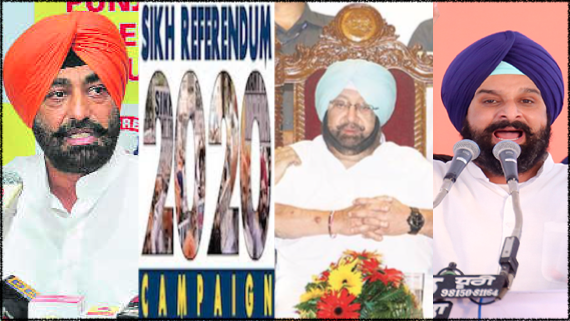 Sikh leader Bhai Daljeet Singh Bittu had released a ‘position document’ on 6 June, 2015 at Amritsar. 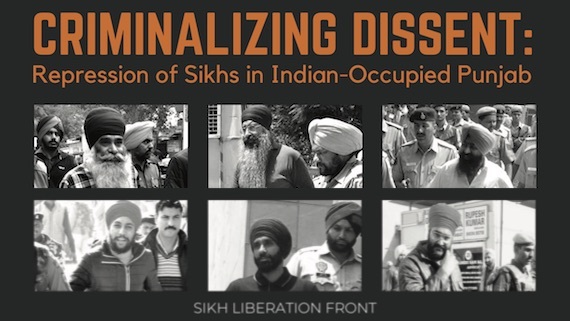 This document presents a review of previous phases of Sikh struggle for freedom and sets the ground for discussion on our future course of action.